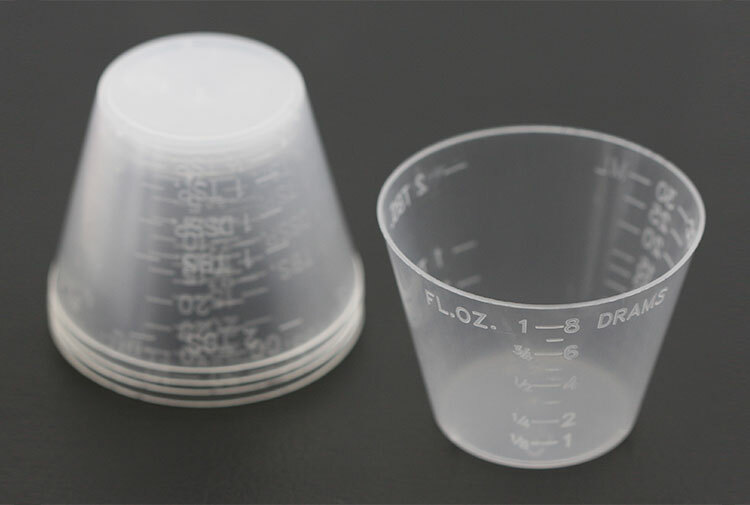 Graduated measuring/mixing cups make epoxy work easier. Now 50 Cups Per Pack! Graduated measuring/mixing cups make epoxy work easier. 50 Cups. Note: Our supplier has presented us with two variants of these cups. Some look like the picture. Some look almost like the picture. Both styles work equally well.